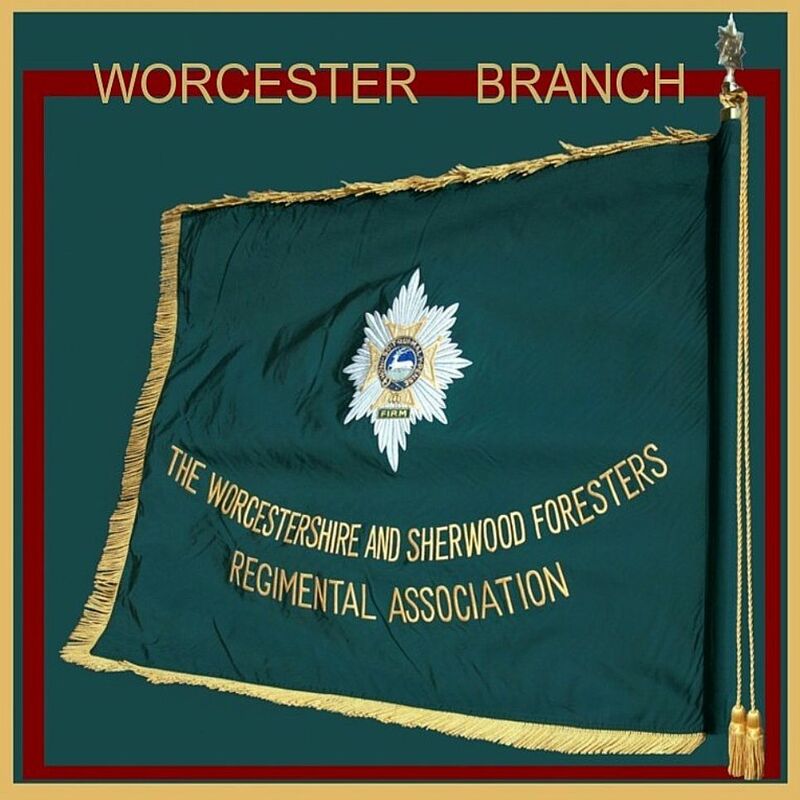 Worcestershire & Sherwood Foresters(Worcester Branch) | Association Newsletters 2. 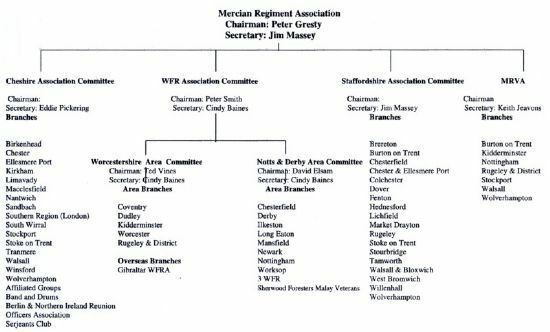 RHQ Mercian Nottingham (rhqmercian.notts@btconnect.com) and we will send you the ENews update. Wednesday 17 April 2019 at 11.00 Hrs at Guillemont Road Cemetery, Guillemont, France. If you would like to attend please use the contact detail below. For Ex Service people attending the Ceremony and wanting to attend Claines RBL please contact Chairman Worcester Branch W.F.R.A. by 18th April 2019 onnigelfish@ymail.com stating the numbers attending. The Memorial Service for Mrs June Ireland, wife of Major EA Ireland, will be held at St Michaels Church, Mere, Wiltshire BA12 6DS at 13.30 hours on Monday 1st April. Please wear Regimental Jackets & Ties for the branch photograph. It is estimated there are over 20,000 former military personnel who have left the Armed Forces living in Worcestershire. If you served as a Regular or as a Reservist, either very recently or sometime ago, we are keen to find out your experiences living and working in the county. We are also interested in any challenges you may have faced or are currently facing. We will be asking you about your time in the military and your return to civilian life. Your involvement will help shape the way Worcestershire supports the Armed Forces Community. The results of this research will influence a list of needs and priorities for the Worcestershire Armed Forces Covenant Partnership, in order to improve services and networks for our Armed Forces community now, and in the future. The survey should take no more than 20 minutes to complete. We need to hear from as many people as possible to ensure our results are valid, so please do spread the word - your participation counts. The information you provide us will be collated by Worcestershire County Council, as part of a wider research project being undertaken to improve support for our armed forces communities. We may share results with our stakeholders; however, the survey results will be statistical and will never contain personal details that could identify you. We may publish anonymous results but will never link to your details or opinions in any way. The next Coffee and Quiz morning will be held on Friday 29th March at 9:30am-11am, at The City Ground. If you are interested and would like to attend please send your; Name, Age and Military Rank to community@nottinghamforest.co.uk or alternatively call 0115 982 4318. The winner of the quiz comprising of both football and local knowledge will win hospitality including a 2 course meal and a place in a corporate box for the Bolton match on Sunday 5th May. SCARLET JACKET TO BE RAISED, FOR THE FIRST TIME, ON THE ROOF OF NOTTINGHAM’S COUNCIL HOUSE ABOVE THE OLD MARKET SQUARE. On Saturday 6 April this year Sherwood Forester Old Comrades will be remembering, as they do every year, the part the Regiment played in the storming of the French held fortress city of Badajoz in Spain in 1812. On 6 April 1812 Lieutenant McPherson of the 45th (Nottinghamshire Regiment), which became the 1st Battalion of the Sherwood Foresters , was one of the first men to scramble from a long ladder into the castle , that crowned the summit of Badajoz. Lacking a Union flag with which to signal the fort’s capture, he ripped down the tricolour and hoisted, in its place, his own scarlet jacket. To commemorate this, on Badajoz Day for the last 207 years the Sherwood Foresters and their successors have hoisted a scarlet jacket on a flagpole wherever they are serving in the world and read out the story of the battle to inspire soldiers of the present day. This ceremony has taken place in recent years in, amongst other places, Northern Ireland, Bosnia and Afghanistan. In addition the Regiment’s local Old Comrades always raise scarlet jackets in Nottingham and Derby. If you want to see the jacket raised this year and hear the dramatic tale of Badajoz, come along at 10.30 am to the Old Market Square in Nottingham. If you want to march with the Old Comrades be there by 10.00 am. In Nottingham, the jacket has been raised traditionally at the Castle. Due to renovations there, this year it will be raised on the flagpole on the roof of the Council House. The Lord Mayor will be represented by Catherine Arnold ; the Sheriff of Nottingham and all Old Comrades have been kindly invited in for a hot drink in the Council House after this unique ceremony. Forces friends is a visiting service providing support to lonely isolated military veterans and their dependants aged 60 and over. We offer a trained volunteer visiting service providing support for isolated and lonely military veterans and their dependants aged 60 and over. We aim to provide short term support to enable older veterans and their dependants to reconnect with social networks and help overcome the problems of loneliness. * Designated trained volunteer, mainly from a forces background. * One to one home visits to provide companionship and social support. * Trips to the wider community if desired. What extra support do we offer? * Help to access other services through Age UK Notts and other military welfare charities such as SSAFA and the Royal British Legion. * Veterans aged 60 and over. * Dependants of veterans aged 60 and over. What area does this service cover? * One to one home visits. * Trips out if desired. * In the comfort of your home. * In the wider community if desired. Nothing, this service is completely free of charge. Address: Bradbury House, 12 Shakespeare Street, Nottingham, NG1 4FQ. The Mercian Regiment Museum (Worcestershire) is seeking to recruit a group of approximately 20 volunteers to help in the Museum Display in the Museum and Art Gallery in Foregate Street. The idea is to have ex-soldiers manning the desk at the entrance where they can welcome all visitors whether individuals or groups, explain what is in the display and chat about life in the Regiment. If you could spare half a day, or even a full day, once a week you would be very welcome indeed. There is no doubt at all that the impact upon the public, and particularly the young, will be greatly enhanced by chatting to former soldiers. It is with regret that we inform you that 14491287 Pte Frank LEONARDI of Nottingham died on 1 March 2019 aged 92. Frank enlisted into the 2/5th Battalion Sherwood Foresters on 31 March 1944 and after training joined the Battalion in Austria. He was later transferred to the South Wales Borderers in March 1946. Frank was a long time member and staunch supporter of Nottingham City Branch. His funeral is to take place at Bramcote Crematorium, Coventry Lane, Bramcote, Nottingham on Thursday 14 March 2019 at 1315 hours. Family flowers only. A collection will be made at the Crematorium for the benefit of a forces charity. Standard Bearer and members welcome. Dr Adrian Gregson RMARA is looking for anyone who may have cut out and kept Daily Dairy that was in the Worcester news from 2014 as he is collating all of the article for 2014 & 2015. If anyone can help please contact Dr Gregson using the details below. The Eagle Newsletter will now be published quarterly and it is requested that the WFRA branches submit the following, for inclusion. Articles should be sent to cindy.baines247@mod.gov.uk no later than Wednesday 27 March. The parents of ex Cpl Andrew (Andy) Neal have asked for the help of the Regimental Family in signing a petition to help towards the government and parliament assisting with the release of their son who is currently in jail in Dubai. Andy served with the WFR and Mercian Regiment before transferring to the RAVC. Andy has been held in the UAE for more than four months, accused of selling drugs, a charge he denies. The person who accused Andy of selling drugs has since retracted his statement. The police had Andy sign a confession written in arabic using his thumb print, which he did not understand. Andy served in the British Army for 24 years, in conflict zones including Iraq, Afghanistan and Bosnia and has 14 medals and a commendation. He moved to UAE in 2015 and started a dog training business. His wife and children need Andy home. Despite Andy’s accuser retracting his statement he still remains behind bars, with neither the UAE or UK governments taking any action, neither has Andy had any hearing. It’s time for the UK government to take some action. Meet the third weekend of every month, located at The Duke of Wellington, Church Street, Kirkby in Ashfield NG17 8LA. The next breakfast club is at 0900 hrs on Saturday 23 March. There are three simple question to answer to be accepted onto the Facebook page. The Facebook page is for Serving members of the armed forces and veterans only. So a safe space where they can chat or open up without judgement. Carers, support and family members are allowed to join a member of the AFVBC on a AFVBC breakfast morning, but just need to be aware this is a military environment. Tea and coffee are all free so they just need to pay for their breakfast. Are you a member, or do you get these Newsletters? If not it might be worth joining. The Society is open to all Ranks of all three Services. You can see that there is good practical advice. Once upon a time, my Battalion hosted a visit from a General. He was a very big cheese indeed and we were all to be on our best behaviour. The Commanding Officer said vaguely to his company commanders that he wanted the General to see the Battalion 'in all its variety' and they in turn passed this message on to their platoons. Meanwhile the RSM interpreted the instruction for himself; fixing the company sergeant majors with steely eyes, he told them that everything was to be immaculate; that any dodgy soldiers (the naturally chaotic and those who couldn't be relied upon to keep quiet) were to be hidden away or sent on courses and that if anyone stepped an inch out of line they would be marking time on the square for all eternity. The RSM was relaxed; he had foreseen this. The room was gleaming, the freshly scrubbed red floor shimmered in the sun beating in through the spotless windows, the taps shone like those in a Domestos advert and the foetid T-shirts, gym shoes, socks and towels, together with their distinctive smells had been collected in a large sack and locked away in the MT sheds. The RSM allowed himself a glow of satisfaction. But the General was now advancing on the row of steel lockers in front of him. He pulled open the door of the first one he came to. 'Good Morning' he said to Pte Trelawney, whom he found standing to attention inside it. "What are you doing here"? 'Hiding from you sir', replied the soldier, unabashed. 'You have failed' replied the General, shutting the door and turning smugly on the red-faced assembly. Having won, the General was in high spirits. 'Ha ha, soldiers kept in light preservation in the lockers'; he guffawed to the Commanding Officer. The latter smiled wanly. Meanwhile, the Provost Sergeant commiserated with the RSM. 'How the hell did he know someone was in there? 'I don't know' said the RSM gloomily. 'That's why he's a General'. This was to credit the General with special powers that he did not actually possess; he had only visited the locker room to cause trouble and on registering that it was immaculate had simply headed for the nearest locker - the same logic that had taken Trelawney there. Nevertheless, thereafter the General acquired a reputation for being an old fox who could see further through a stone than others. Trelawney explained to the RSM that he had only been trying to keep out of the way in accordance with his own instructions. Trelawney achieved a sort of cult status within the Battalion and the RSM, after struggling unsuccessfully to find something to charge him with, took no further action, thereby acquiring an undeserved reputation for clemency. And the Colonel, who had been so upset by the whole episode that he had not spoken at all, rose in the General's estimation; he mistook the silence for stoicism and an ability to take surprises in his stride. No one could ever remember the General being so cheerful, the visit was deemed a great success and he later told his staff that he thought the unit had 'real style'. So out of this somewhat unpromising incident, all involved eventually benefitted. If you are a Society member seeking advice concerning your pension, the best way to get it is to email our pension advisory service his will go direct to the Pension Team collective mailbox; they will pick up requests in chronological order. If instead you send them to me in response to the newsletter, you will still get a reply, but it will usually take longer as I receive a very large mailbag after each newsletter and it may therefore take me time to get to it and forward it on. Society membership now stands at 54,648, a rise of 4600 on this time last year. Next Pennant magazine will publish on 1 May 19. Please remember to tell us if you will have changed address by then. I have mentioned our new partnership with Forces Moneyplan in the last two newsletters. Forces Moneyplan offers a pro bono generic financial consultation to our members. What has particularly pleased me about this initiative is that many of you have used it (76 to date) and that it is producing useful answers which are actively helping you manage your finances and in some cases keeping you off the rocks. This remains a standing item and will continue to do so as long as I receive a mailbag from those who have successfully claimed NI credits for service abroad, having read about it in the newsletter. If you are a spouse eligible for the new state pension (but sadly not those eligible for and drawing the old pre-April 2015 state pension), and you have gaps in your National Insurance record caused by accompanied service abroad - you can claim back the missing years. And if you were smart enough to pay for the missing years when you were abroad and before the credits came in - you can claim those costs back as well. For more information CLICK HERE and tell your mates! Another recurring newsletter item, which I will also only stop repeating when we stop receiving further cases. If you retired as an Army officer on an LE commission, and served for more than two but less than five years commission, you are entitled to an LE supplement. Over the last two years we have discovered many examples where this has not been paid. Typically this has led to uplift of around £ 800 pa plus pack payments plus adjusted lump sums. For many this has involved more than £10K. Worth having. So if you are not sure, ask. AFPS75 Spouses Pensions: I have written about this before, but it bears repeating, over and over again. If you have AFPS75 pension entitlements your partner will not be eligible to receive them in the event of your death unless you are married or in a formal civil partnership. Knowing your Entitlement: At a drinks party the other day an old friend, the widow of an Army Officer asked 'do you think I might be eligible for any Army pension?'. The question astounded me for I knew that she was and was surprised that she was not already claiming it. I said as much to her. Her response was that her husband had only served for 12 years, they had not married until several years after he had left the Army and when he had dropped dead unexpectedly, it had been the last thing on her mind. You don't know what you don't know. Although a post -retirement widow, her husband's service had been post 1978 so she is entitled and has now applied accordingly; something that will make a significant difference to her. The lesson is - if in doubt ask - and if you know someone who might be entitled, encourage them to ask. Phase 1: The Veterans ID Card will be provided to all Service Leavers only, as part of the discharge process with effect from today, and retrospectively to those who left on or after 17 December 2018.
paratroopers is St. Michael the Archangel. Given his wings, this makes perfect sense. Slightly less obvious and perhaps less reassuring is St Seraphim of Sarov who I gather is the patron saint of Russia's nuclear arsenal, much of which apparently resides in his home town. Pre 2015 the NHS used not to charge ex-pats for treatment when in the UK, but now it does - unless they have a European Health Insurance Card (EHIC) or live in the European Economic Area or a country with a reciprocal arrangement with UK, or are serving diplomats of Armed Forces - OR they are in receipt of a war pension or Armed Forces compensation scheme payments. A South Africa based member tells me that having suffered a detached retina during his last visit to UK, he was duly billed for treatment, but received a refund when it was realised that he received a war pension. Those in the same position take note. "According to the DH Guidance on charging regulations for overseas visitors, "war pensioners and armed forces compensation scheme payment recipients are exempt from charges while visiting or living in the UK (Regulation 22). From today, any personnel who have left the military since December 2018 will automatically be given one of the new ID cards, which will allow them to maintain a tangible link to their career in the forces. Veterans UK - which manages pensions and compensation payments for the armed forces local authorities, service charities, NHS and GPs will also benefit from the change, as they will not have to conduct time-consuming checks to identify individual veterans. If you want to see the jacket raised this year and hear the dramatic tale of Badajoz, come along at 1030 am to the Old Market Square in Nottingham. If you want to march with the Old Comrades be there by 1000 am. In Nottingham, the jacket has been raised traditionally at the Castle. Due to renovations there, this year it will be raised on the flagpole on the roof of the Council House. The Lord Mayor will be represented by Catherine Arnold ; the Sheriff of Nottingham and all Old Comrades have been kindly invited in for a hot drink in the Council House after this unique ceremony. The next meeting of the Notts and Derbys Area is to be held on Saturday 9 March 2019. Refreshments will be available on arrival from 10.30 hours. In January, the Legion announced its plans to take up to 300 Normandy veterans to France on a specially chartered ship to mark 75 years since the original D-Day landings. 175 veterans, who helped liberate France during the Second World War have already signed up to travel on the MV Boudicca, but there is still the opportunity for more to join them, with the deadline for applications now extended until Monday March 4. The Legion’s assistant director for commemorative events, Bob Gamble OBE said: “We believe it’s important that all veterans who contributed to the liberation of France who want to attend the commemorations for the 75th anniversary of the D-Day landings in Portsmouth and Normandy are able to do so. We are delighted at the response we have received so far but we still have space for more veterans to join their comrades who shared in those challenging wartime experiences in 1944. Most importantly at this stage, we don’t want anyone who wants to take part to be left behind. If you have a friend or family member who is a D-Day veteran, or indeed if you are one yourself, please get in touch with the Legion and find out how to be a part of this historic trip." This event being organised by the Revd Dr Colin Butler MBE, Vicar at St Martin’s in the Cornmarket. Friday 8 March at 14:00hr St Martins, The Cornmarket, Worcester, WR1 2DF. It will take the form of a conversation between a historian, Dr Stuart Bell of Durham University, and a theologian, Dr Michael Brierley of the Cathedral. They are going to consider GSK as a ‘priest at war’. To be received in writing to:- N Fish 19 Langland Ave, Malvern WR14 2EG by no later than 1st March 2019. Saturday 23rd March Worcester Branch Annual Dinner. The Berkeley Spetchley. Saturday 27th April 10:30hrs WFR Bench Unveiling. Opp Worc Regt Stone, Gheluvelt Park. Saturday 11th May W.F.R.A. Worcestershire Area Meeting Claines RBL. 10:45hrs. Saturday 1st June Reunion Sixways Worcester. 12:00hrs. Thursday 15th August VJ Day, Burma Star TBC Evesham 10:30hrs. Saturday 24th August Wreath laying Service (Vernon,Burma,Malaya) Regt Stone Gheluvelt Park 10:45hrs. Saturday 12th October W.F.R.A. Agm Lichfield. Sunday 27th October 105th Anniversary Battle of Gheluvelt Service. 11:15 for 11:30 start. These are the provisional timings subject to ratification from Nottingham City Council. Comrades who are marching form up by the left lion at 10.45hrs. In the City of Worcester there is no such memorial to the men and women that served in all the Battalions of Worcestershire and Sherwood Foresters Regiment. The bench will be situated in Gheluvelt Park Worcester. As you enter the park through the Memorial Archway from Barbourne Road at the junction of the Kidderminster A449 and Droitwich A38 roads the bench will be sited on the right as you enter, opposite The Worcestershire Regimental Stone. We are looking at having the bench installed in April 2019, for unveiling on Saturday the 27th April 2019. The plaque on the backrest will read......" This seat is dedicated to the memory of all who served in the Regiment and to Honour those who were killed on Operational Active Service and those who died whilst serving"
The fund raising will hopefully cover the costs of having Regimental plaques fabricated and fixed to the bench that has been refurbished especially for us. The rest of the fund raising will hopefully cover holding an unveiling ceremony and costs incurred. Worcester Branch W.F.R.A. are also looking ahead to having badged plaques applied to a bench in Worcester City. YOU`RE INVITED TO ATTEND A COFFEE MORNNING AT THE WORLD FAMOUS CITY GROUND WITH NOTTINGHAMFOREST COMMUNITY TRUST WITH THREE FOREST LEGENDS! The full series of the Tommy Gunn books by author Colonel (Retd) John Hughes-Wilson, who served for many years as a Sherwood Forester prior to moving to the Intelligence Corps is now available from Amazon.co.uk. The series is all about a young infantry officer T. O. M. Gunn; a Sherwood Forester in the Great War and the series follows his exploits year by year. The setting for the books fit extremely well with the movements of the Foresters and although the books are fiction they have a definite ring of truth as to places, movements, actions etc. The series is considered to be excellent and well worth a read. The Annual General Meeting of the Long Eaton and West Notts Branch with be held on Monday 4th February 2019. Time: 19:45 Hrs for 20:00 Hrs.